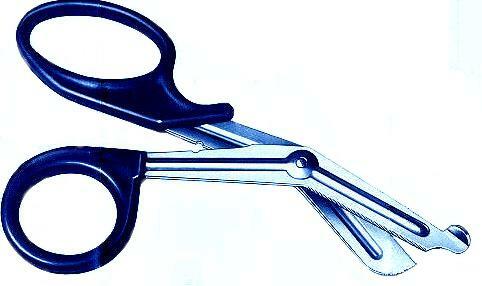 The Kelly Hemostatic Forceps are available either curved or straight, 5-1/2". It is stainless steel and floor grade which means it is for regular use, not an operating room. Imported. Quantity pricing available. This may be available in the quantity you desire even if it tells you there is insufficient stock, even if it reports the available stock as 0 (and in some cases it may be negative - until we fix it). This is because they are listed at several quantity discounts and so simply the entire inventory is not counted in this one listing, but rather only a portion is allocated to it. 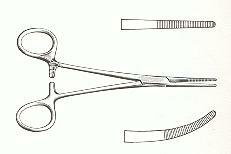 If for example we have 500 forceps available, we wouldn't want to list them as 500 individual units, 100 sets of 5, 10 sets of 50 and 4 sets of 120, because then the same forceps would be counted 4 times! It would be possible for one customer to purchase all 480 in 2 sets of 120, and then for someone else to come along and order 100 in 2 sets of 50, and it would tell them the 100 are available even though they wouldn't be. It is better to list it as perhaps 2 sets of 120, 3 sets of 50, 15 sets of 5, and 35 individual units available. This will then produce an "insufficient stock" message if one customer then tries to buy 3 sets of 120, or if 3 customers buy a set of 50 and then another tries to do the same, for example. If you do see an "insufficient stock" message, to see how many are actually in stock, please add together how many are available in each quantity (and remember that a quantity of 5 at 5 at a time is not 5, it's 25). The website will allow the order to be processed even in the event of such a warning for that reason. If it turns out that there genuinely is insufficient stock, we will not charge your card but will contact you for further instructions (at the end of your order, your card is merely authorized for the amount of the order total and the amount charged up to that amount is at our discretion), and if you pay in the mail, we will issue you a refund check which will be included with your order.